geophysical and geochemical methods of deposit exploration and fulfilling special tasks: theory, technologies, information-control systems and instruments. theory, methods, apparatus and programme means for solution of specific problems. 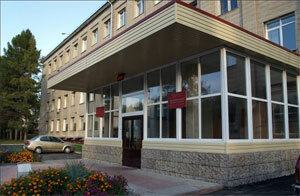 Trofimuk Institute of Petroleum Geology and Geophysics SB RAS was founded by decree No 272 of Russian Academy of Sciences Presidium at 22 of November 2005, when Institute of Petroleum Geology SB RAS, Institute of Geophysics SB RAS and Design and Technological Institute of Instruments for Geophysics and Ecology SB RAS were united.